AKWESASNE – Saint Regis Tribal member Jill Benedict has been named head of the tribal gaming commission. Benedict started in her new executive director position with the Saint Regis Mohawk Tribal Gaming Commission last week (Nov. 5). The lifelong resident of Saint Regis was director of compliance at the Akwesasne Mohawk Casino Resort for 15 years. 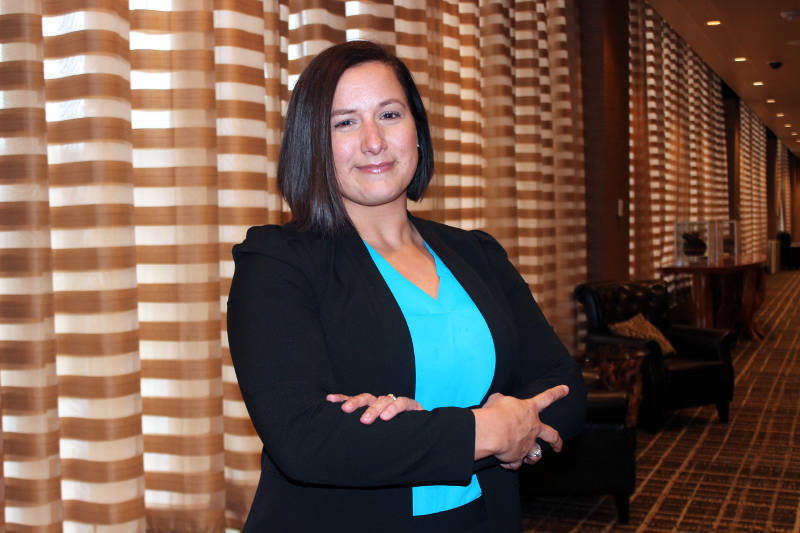 She’s taking over for Todd Papineau, who left the commission in May to be general manager of the Akwesasne Mohawk Casino Resort. Papineau had been executive director of the commission for 16 years. The Saint Regis Mohawk Tribal Gaming Commission oversees the gambling and gaming industry within Saint Regis, which includes hiring and performing background checks for gaming employees, auditing and handling criminal investigations.